Is it too late to catch the EMD train? Emerging markets debt (EMD) has performed extremely well so far this year, and is showing historically low volatility. Price stability coupled with improving fundamentals in some EM economies are attracting funds into EMD and lifting valuations in the asset class. But will investors continue to be compensated for the risks? 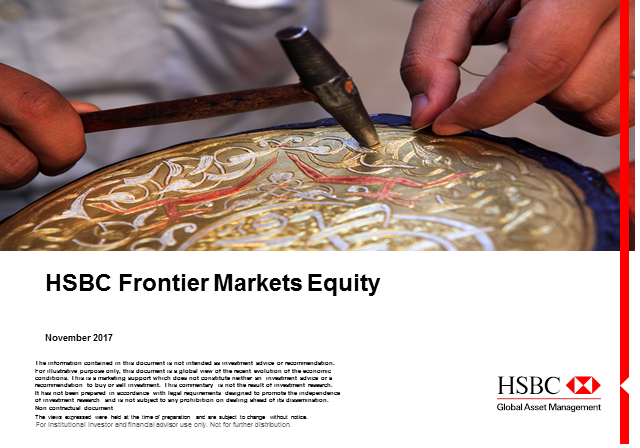 Through the years, tapping into our deep roots in both China and India, HSBC has become one of the world's largest managers of emerging markets assets. But we’re more than just emerging markets. We offer investors a host of opportunities and strategies across the investment spectrum. HSBC. Your bridge to global markets.